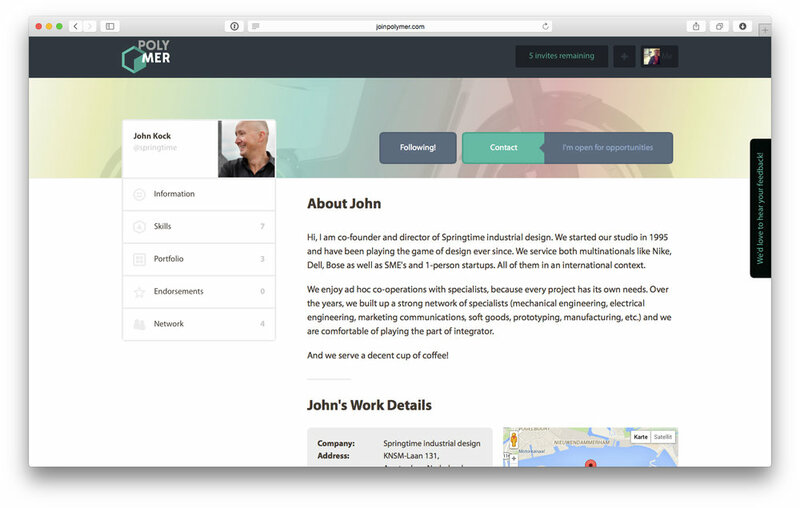 Polymer is a collaborative network for hardware professionals. It’s One place to join forces on building the products of tomorrow. Polymer maps out connections behind hardware products to make finding the right people for a project a snap. Expressive profiles and beautiful showcases are poised to become a Makers business card – and allow to easily highlight their work and skills. Tailored search requests and allow for companies to reach out to hardware talent in a clever way. It’s the corner stone of an engaged and interconnected community of hardware startups, industrial designers, engineers, and studios. Polymer marks a crucial step towards the vision we have in mind: A collaborative network for professional Makers. 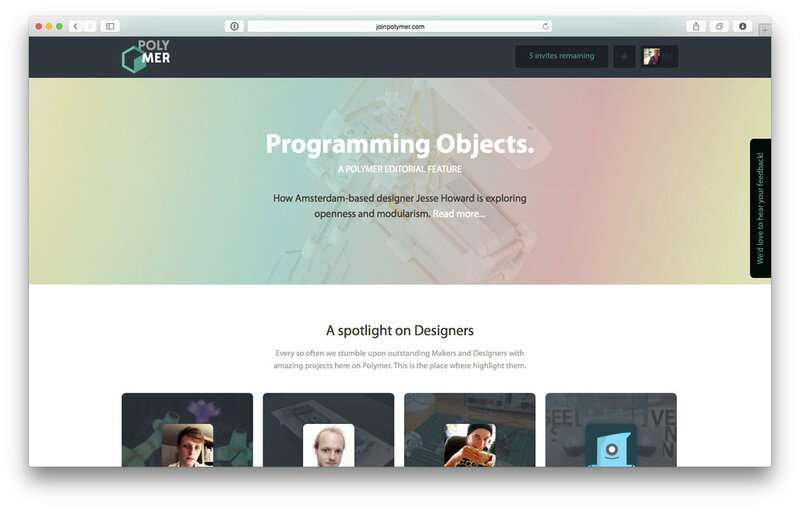 Polymer was an online platform and running until early 2015.